It had been my firm intention to go down to Cornwall this weekend. The forecast looked OK, if not quite what I would have been hoping for. 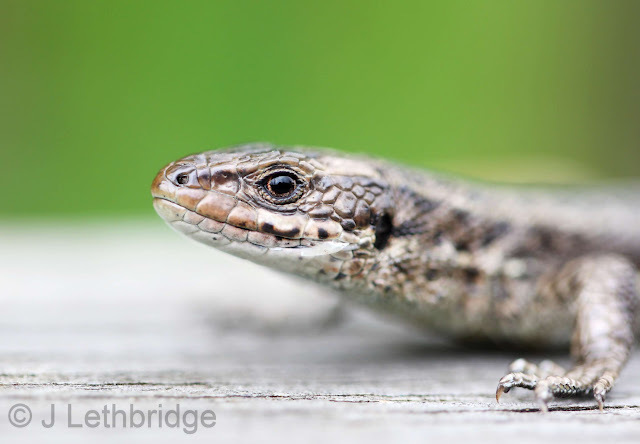 Nonetheless, a chance of a few seabirds, and a supporting cast of Black Kite and a Wryneck or two. Still, it's twelve hours in a car, so a last-minute email to a local contact enquiring as to how the locals viewed the prospects seemed in order. Not good, apparently, no talk of sea-watching whatsoever. Well that settled it, frankly I was looking for excuse not to go. Saturday was spent wandering round a dead Wanstead, and a dead Rainham with Bradders. Porthgwarra meanwhile saw 2,003 Great Shearwaters go past in the space of five hours. When I tell you that I have seen eight Great Shearwaters ever, you will perhaps understand why morale was quite low in Chateau L last night. I mean, for Christ's Sake! Two thousand Great Shears in a few hours?! That is monumental, the stuff of legend. Deeply pissed off, I went to bed dreaming of seabird passage. This morning, plodding Wanstead Flats, once again devoid of birdlife, I checked my phone again. Perhaps it had been 2.3 Great Shearwaters and in my slightly inebriated state I had misread the message? I hadn't, there really had been over two thousand. Unbelievable. My phone bonged again: 64 Great Shearwaters past Porthgwarra by 9am. Piss. I abandoned the Flats, and in an uninteresting repeat of yesterday, went to Rainham, again with Bradders, but this time also with Nick C. Like yesterday, it was dead, although three Black Terns and a Curlew Sandpiper did their best to raise me from the doldrums. 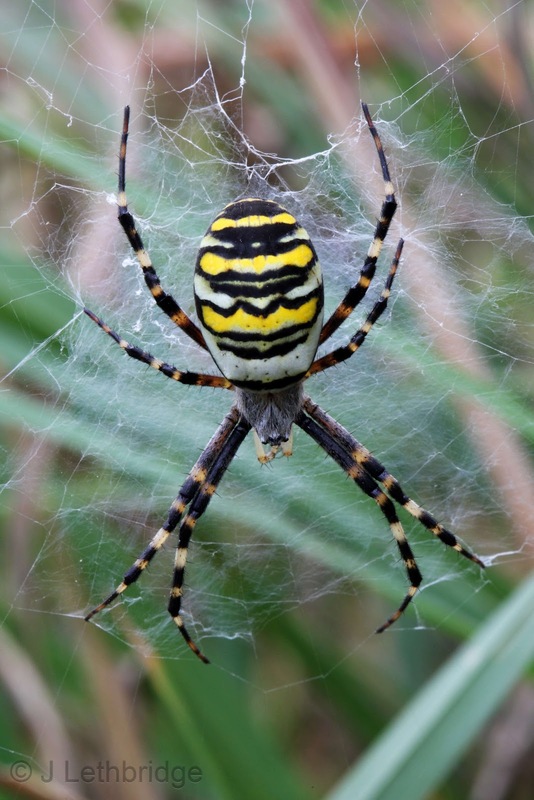 In the absence of birds we made do with Wasp Spiders and Common Lizards, and learned that the number of Great Shears past Porthgwarra was 173 by midday. Grrrr. Why hadn't I gone to Cornwall? Just how much, exactly, does Lady Luck hate me? The trickle of terns gave some hope that further down the river, fewer obstacles in their path and a tasty outfall close at hand, that there might be some more, so we headed off to Tilbury. Kicking stones, I set off along the sea wall adjacent to Tilbury Fort. A small bird on the iron railings caught my eye, and a quick squiz through the bins revealed it to be a juvenile Red-backed Shrike. That's nice, now where's the outfall? Hang on a dang minute! Woo-hoo! A Shrike! Woo-hoo! 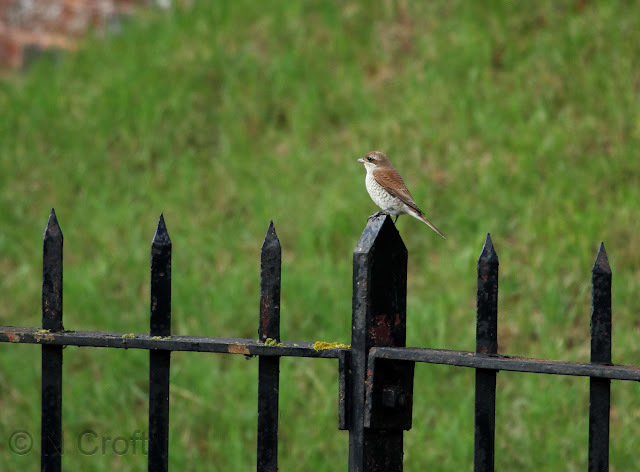 A Red-backed Shrike! Yay! 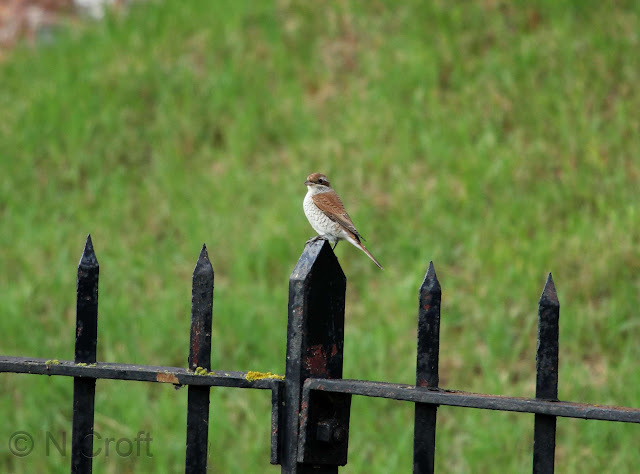 A RED-BACKED SHRIKE! I never, ever, find any good birds. A few patch goodies perhaps, but nothing actually good. It just doesn't happen. A Glaucous Gull at Rainham, and a handful of Yellow-browed Warblers (in October, and on Scilly and Shetland) are perhaps the closest I have come. 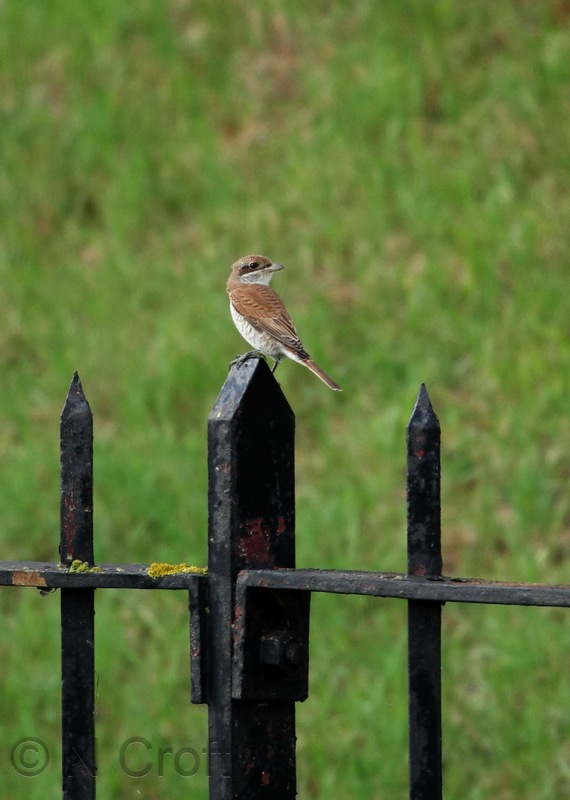 This is a Shrike, a bloody Shrike! I phoned out some really really poor directions to the pager. Overhearing these, and realising that my over-excitement was causing me to talk utter nonsense, Bradders called them back immediately with good ones. Whatever. Woo-hoo! What was I saying about Lady Luck? That she loves me! Look, here it is again, courtesy of Nick C who had the presence of mind to get closer to it and nab some photos whilst I smiled beatifically and dribble ran out of the corner of my mouth. So it all boils down to whether I would have preferred to have seen 2,176 Great Shearwaters, increasing by 27,000% the number I have ever seen, but for the price of twelve hours in a car, or whether I would have preferred to have gone birding locally and found my very own Red-backed Shrike on the outskirts of London. I'll let you decide. Here, have a photo. ah but ... you don't know what you might have stumbled across in Cornwall? Could have had 2000 Great Shearwaters and a self-found Red-Backed Shrike.